Wholly Science -  An epic journey of new discovery so fantastic that our natural instinct would be to block it out. What the universities offer is mostly pseudo science, based on erroneous assumptions and biased interpretations. It is actually a dogmatic belief system, named “scientism“. due to the lack of genuine experiences and real understanding. Truthful science has a spiritual heart. Veritable spirituality has a scientific foundation. Wholly Science is the reunion of pure Science and living Spirituality. and so is the reality that originated from these dogmatic convictions. In this day and age, humanity is on the verge of a major transformation. Are you ready for Wholly Science? If so, then you are most welcome to Wholly Science.org. 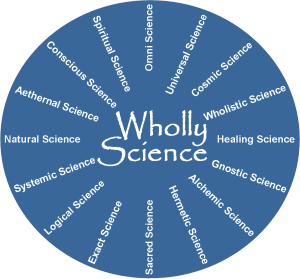 Are you new to Wholly Science? Then the videos embedded below might be a good way to get acquainted with Wholly Science. On November 10, 2012, in the city of Hilversum in the Netherlands, Johan Oldenkamp, PhD, presented Wholly Science at the Global Breakthrough Energy Movement Conference. In order to watch more Wholly Science videos, click here.